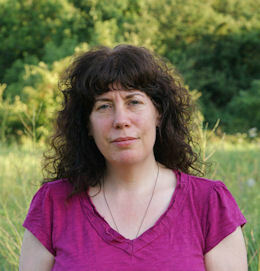 Monika Ghent practices plant spirit medicine in Toronto, Ontario, Canada and is inducted as a Lay Spiritual Healer in the Temple of Sacred Fire Healing. In 1995, while studying to become a Traditional Western Herbalist, Monika read Eliot Cowan’s book, Plant Spirit Medicine. When she finished, she knew two things very clearly: firstly, that she wanted to experience this medicine as a client as soon as possible; and secondly, that she needed to study this medicine as soon as possible. It was nine years before she had the opportunity to study plant spirit medicine with Eliot Cowan and Alison Gayek. She graduated in May 2006 and has been practicing full-time ever since.